About: Time for Life (TfL) is a targeted and time-limited, personally tailored, goal oriented community enabling service for people aged 65 and over. 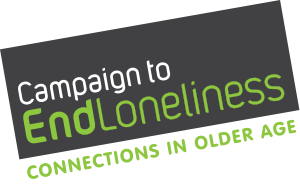 It is aimed at tackling social isolation and consequent exclusion which frequently follow events in later life, such as bereavement, illness or a disability. The service is available to people who meet eligibility criteria under Fair Access to Care criteria and is delivered across all of Devon (except Torbay and Plymouth) by four consortium members – Westbank, Age UK Devon, Upstream and Age UK Exeter. It is funded by Devon County Council. The Enabler helps support the participant by using coaching techniques and where necessary accompanying them to any activity they wish to attend, e.g. social groups, activity groups such as art and craft, writing, exercise classes/walking groups etc. Measures are taken at baseline and after closure and six months after discharge. Clients report significant improvement against all measures with particular improvement in quality of life and making a contribution. Participant Quotes: It’s all thanks to you; you gave me the confidence to do this. I got on the bus to Axminster yesterday, walked around and down to the station – I’d not done that before. It has made such a difference, having you be with me it has really helped – thank you so much.